This remodel was borne out of a 15 year friendship between our lead designer and the homeowner, a talented graphic designer to whom we turn for our own business branding. 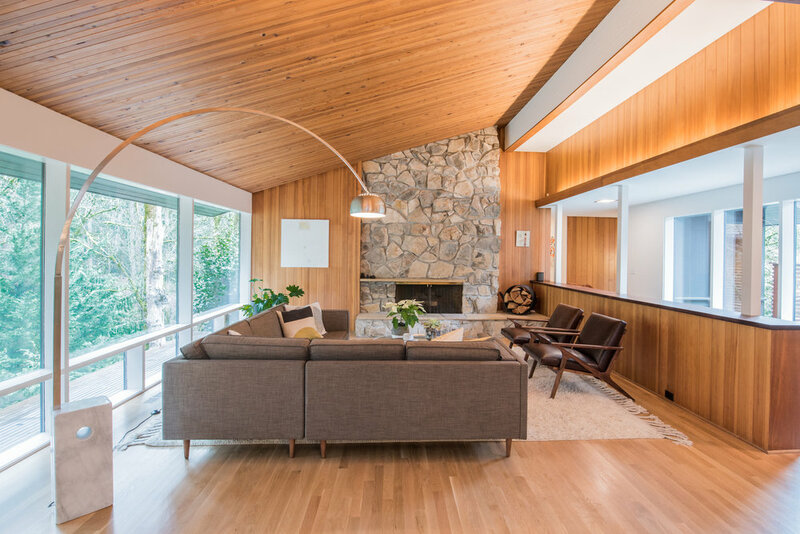 After having already remodeled one home together, this project was an easy one to step into, a comfortable exchange of ideas and understanding. We recommended trying to save the existing cabinetry for this u-shaped kitchen remodel, and the results are stunning. Cement Elegance white concrete countertops provide a modern feel. A former wall of cabinets was opened to the dining room, allowing for unobstructed views of the forest beyond. For the dining room walls, the homeowners chose “Roll Right - Gold on Blue” by Makelike, their favorite Portland wallpaper company. Master bath update with restored cabinetry. 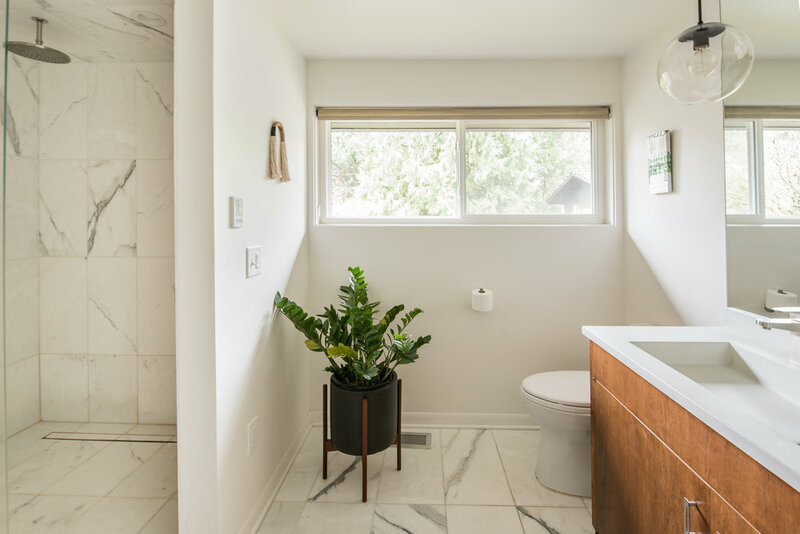 Calcutta marble on floors and shower walls is always a perfect choice, especially when paired with the Cement Elegance white countertops.